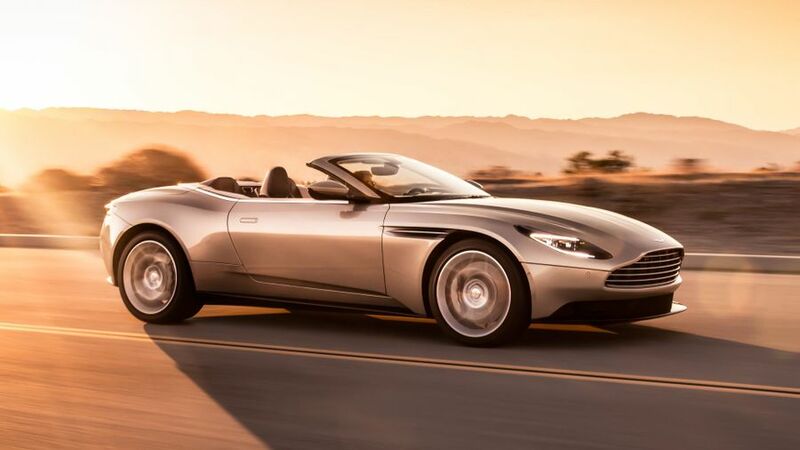 Aston Martin has revealed its latest model, the DB11 Volante. It’s the open-top version of the DB11 Coupe, which was launched last year. From the outside, the Volante clearly takes after the DB11 Coupe. Its aluminium bonnet is combined with new wood or carbon fibre veneer panels on the seat backs. while the thin tail lights create a ‘C’ shape, and the car has a new design of forged alloy wheel, as well as LED lights front and rear. The fabric hood, which is available in a choice of red, black silver or grey silver, takes just 14 seconds to lower and 16 to close. It can be operated remotely from the key, or at speeds of up to 31mph, and the new folding mechanism has led to the boot being 20 per cent larger than in the DB9 Volante. The new model is powered by a new 4.0-litre twin-turbo 510PS V8 engine, and shares the same aluminium structure as the Coupe. 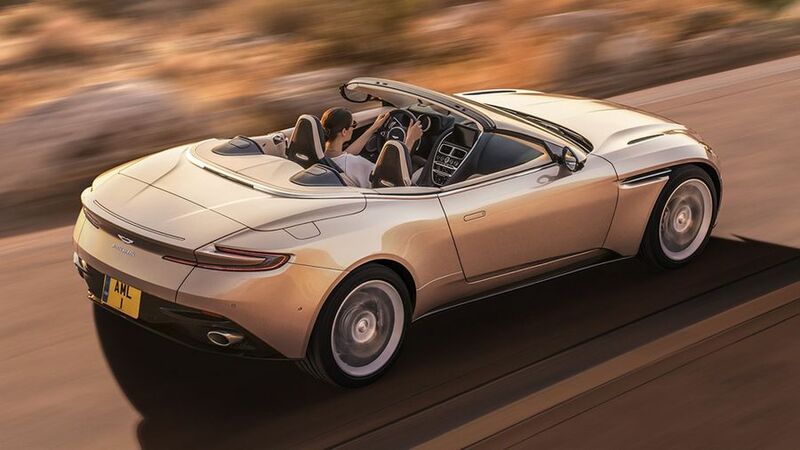 In developing it, the company’s aim was give it a wider breadth of abilities than the outgoing model, the DB9 Volante, giving the DB11 better performance and handling at the same time as increasing its refinement and comfort. The new Volante comes with an eight-speed automatic transmission; and, thanks to this new engine, the new car can hit 62mph in 4.1 seconds and go on to a top speed of 187mph. Beyond that, the Volante’s three-stage powertrain and chassis modes mean the driver can tailor the way the car drives to suit the road, weather or their mood. The car incudes creature comforts such as a heated steering wheel, full leather upholstery, dual-zone climate control, sat-nav and even ISOFIX child seat-mounting points on the rear seats. There is also a wide range of options, which allow the owner to personalize their car. These include different leathers, a colour-coded steering wheel, heavy-pile floor mats and different colours for the seat belts, as well as an upgraded stereo system, painted brake calipers and black caps on the wing mirrors. The new car is available to order now, with prices starting at £159,900, and first deliveries scheduled in spring next year.